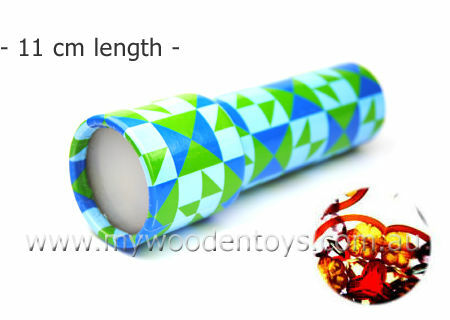 Mini Traditional Kaleidoscope is a little version of a classic toy which has delighted adults and children for generations. This traditional toy Kaleidoscope is decorated with multi-coloured patterns and swirls, making it a very pretty toy to look at. But it is not until you look down its spy hole and turn the end that the true beauty of a kaleidoscope comes to life. This toy is made from very heavy duty cardboard. We like this because: "Small and simple a lovely kaleidoscope."